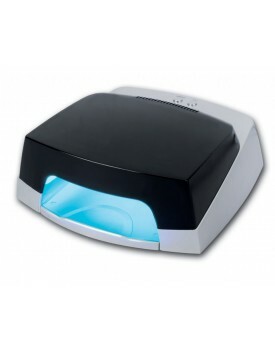 The Edge 36 watt Black/Silver UV lamp Ideal for professional or home use. Durable and hard-working ..
Great value and superb base coat for your nail polish that will help prolong the life of your.. This Kit is the perfect training kit or as an introduction to this popular system. Acrylic Liquid a.. The EDGE Acrylic Liquid has a technologically advanced premium blend of Copolymer Powder and a.. The Edge Nails Acrylic Powder is a technologically advanced premium blend of Copolymer Powder design.. The Edge Acrylic Powder 40gThe Edge Nails Acrylic Powder is a technologically advanced premium blend..
A micro-mist fast acting setting spray to ensure speedy drying of resin making application faster. T.. The Edge Brush on Resin - 8g Offers the same formulation as the 28g Resin but in a handy brush on ap.. The Edge Natural Competition Nail Tips - Box of 360 Assorted Tips The Edge tips are made of virgin A..
Well-less tip Ultra thin No more blending ..
Enriched with Pro Vitamin B5, E and A and comes in a 10ml dropper bottle making application ac..
To be used with The Edge 28g Resin to ensure easy and accurate application. .. This kit is a great starter or training kit and an excellent introduction into the Silk and Fibregla..
FIBREGLASS NAIL WRAPFor overlays or repairs ..